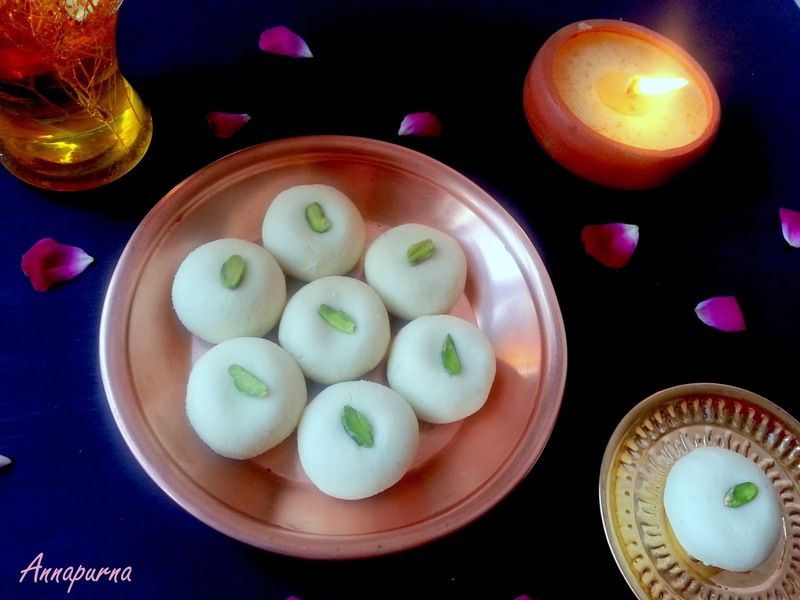 Sandesh is a popular Chena / Cottage Cheese based moist sweet fudge from the Bengali Cuisine. This melt in mouth sweet meat can be made easily at home and requires just two basic ingredients- chena and sugar or jaggery/ Gur. 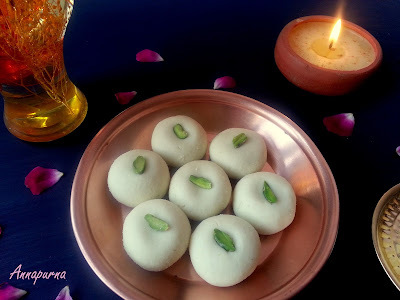 There are many variations to this light and creamy traditional sweet and one can find it in many flavors and textures. Some Sandesh recipes do not call for cooking the cheena. Cheena is just kneaded well with sugar and is further flavored. 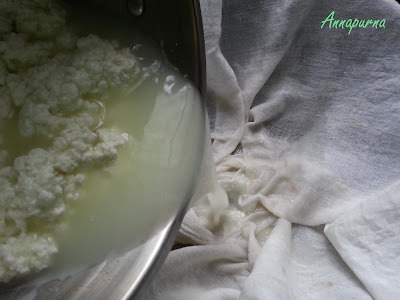 Some recipes use Jaggery / Gur over sugar. There may be many variations but you all would agree with me if I say that any Bengali Sandesh is lip smacking and a must try if you are a sweet lover. 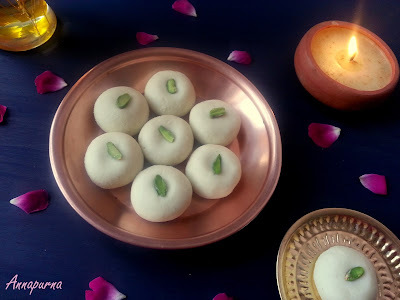 After my successful attempts of Sponge Rasgulla and Mishti Doi, making Sandesh was on my to do list for quite some time. Tried a basic Sandesh recipe with home made fresh chena / Paneer. Have followed the recipe from Foodviva. The recipe calls for cooking the chena and sugar mixture on a low flame. 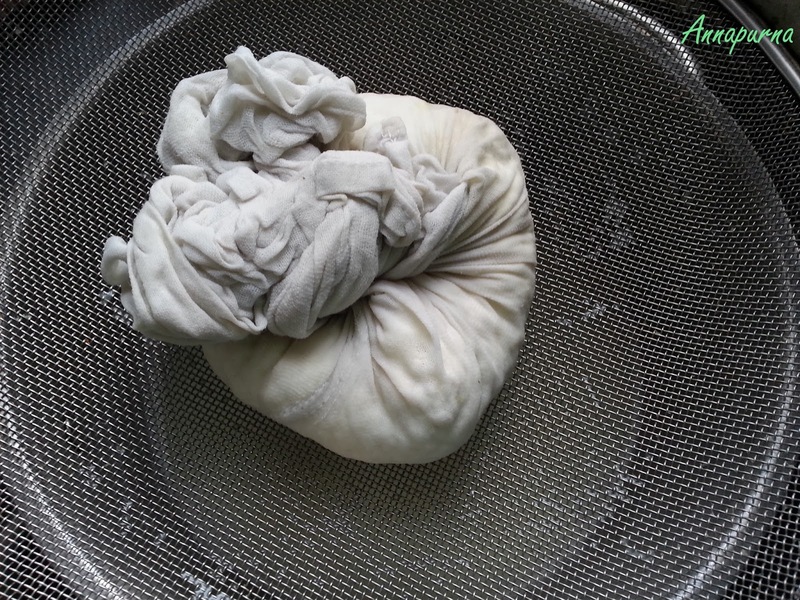 The resultant mixture should resemble a soft moist dough. 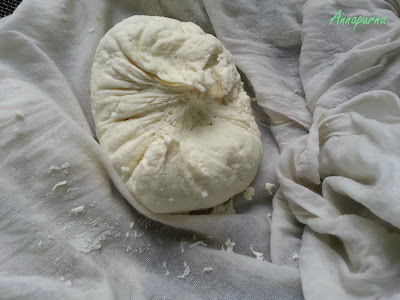 Care has to be taken while cooking the Chena as over cooking may make it hard and rubbery. Have flavored it with green cardamom. 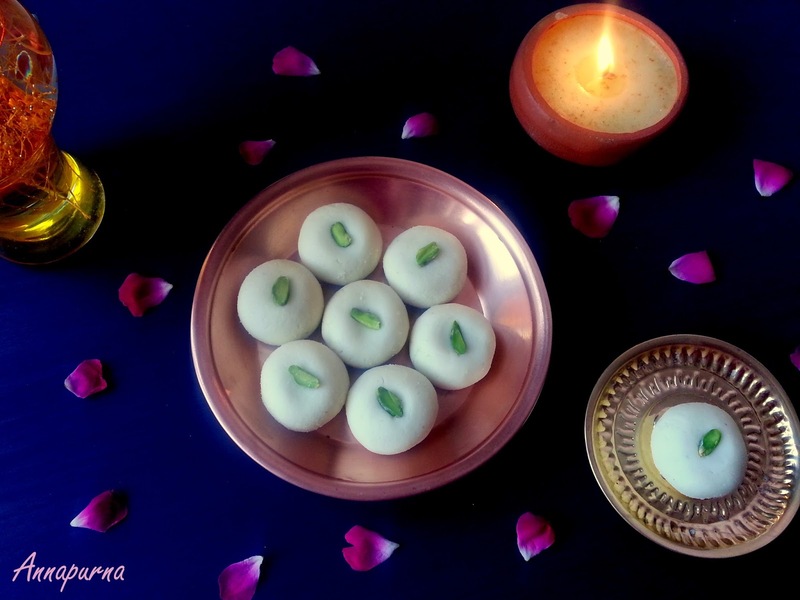 Though this delicious treats are usually made during festivals like Durga Pooja and Diwali , they serve as perfect sweets for any festive occasion. Also can be taken during fasts( vrat). 1. 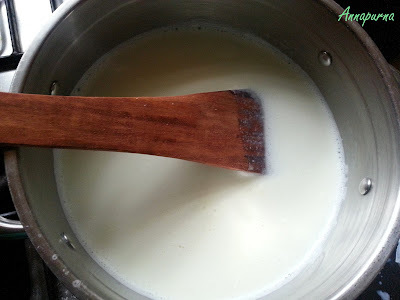 Heat the milk in a wok on medium flame. Once the milk starts boiling, lower the flame and add 2 tbsp of either lime juice or vinegar to it. Stir gently. 2. The milk will curdle and we can see greenish whey separating out. 3. Pour the curdled milk over a muslin cloth lined colander. Drain the whey and collect it by keeping a bowl or a container below the colander. Use it for kneading dough . 4. 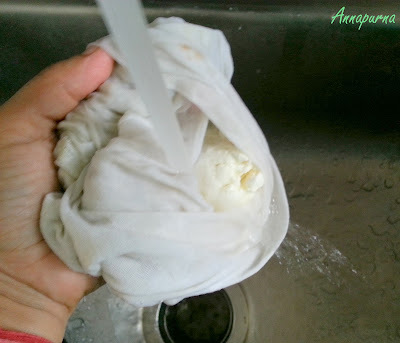 Gather the sides of the muslin cloth. Chena is collected inside it. 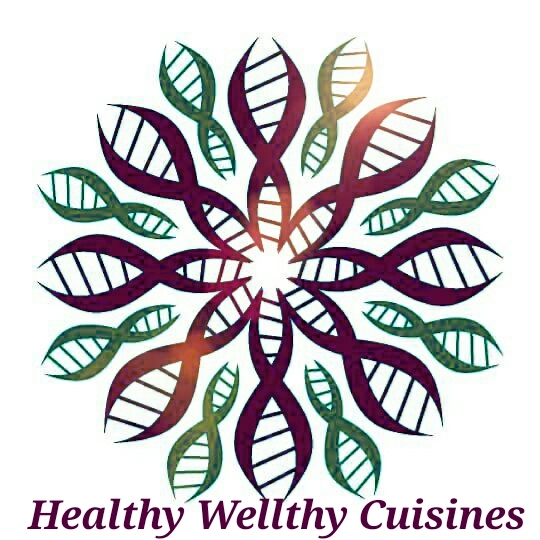 Squeeze out whey gently and rinse the chena in running water to get rid of after taste and smell of lemon or vinegar. 5. Squeeze out the liquid by gently pressing the collected bundle of chena in the muslin cloth and keep it under some weight for 10-15 minutes or most for 20 minutes. 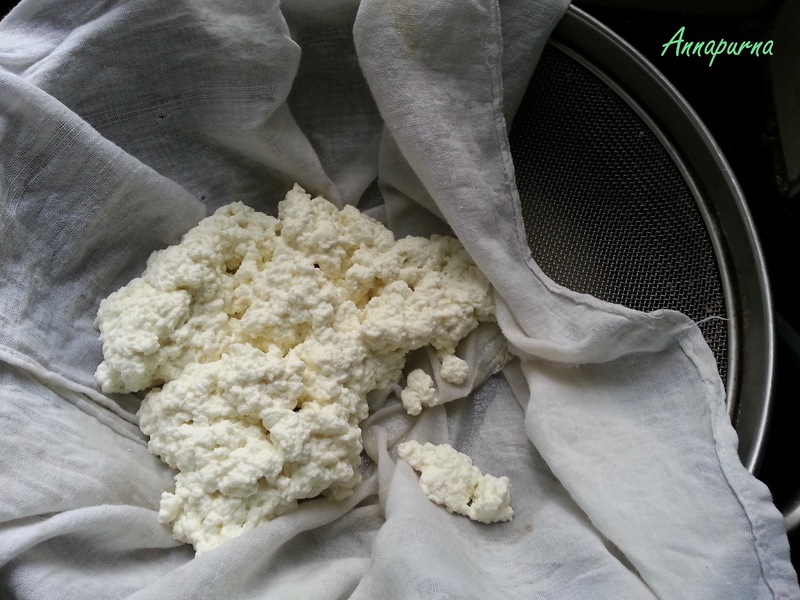 If the chena remains tied or underweight for more than 30 minutes, it will become dry and firm and would be more of a paneer consistency and then the sandesh will be crumbly. 6. Take out the chena to a plate or wide bowl . Add powdered sugar and green cardamom powder to it. 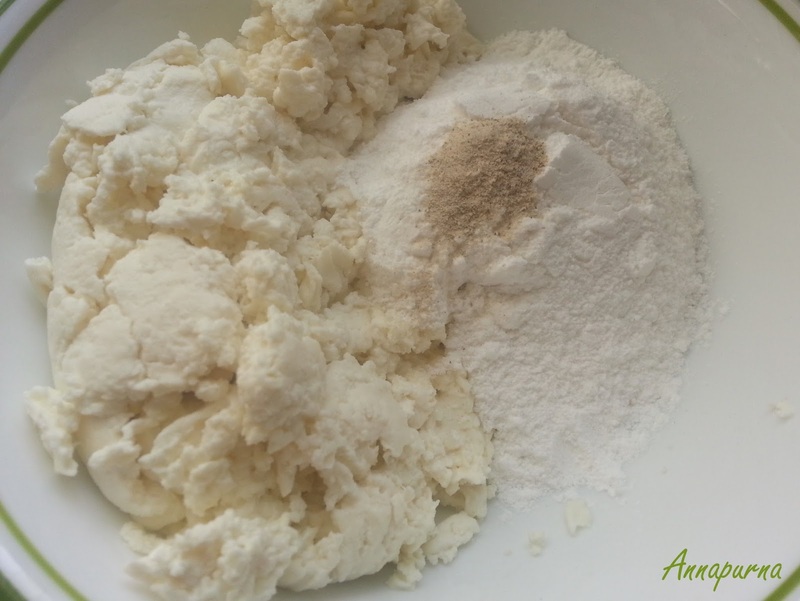 Mix well and knead it like a dough for 3-4 minutes. 7. 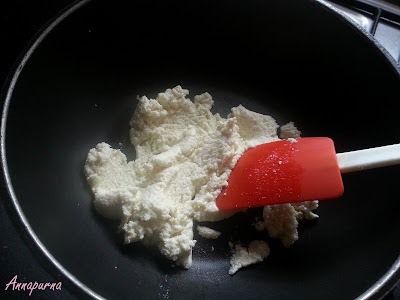 Transfer the prepared mixture to a heavy bottom non stick wok or pan. Cook the mixture on a low flame for about 5-7 minutes while continuously stirring. 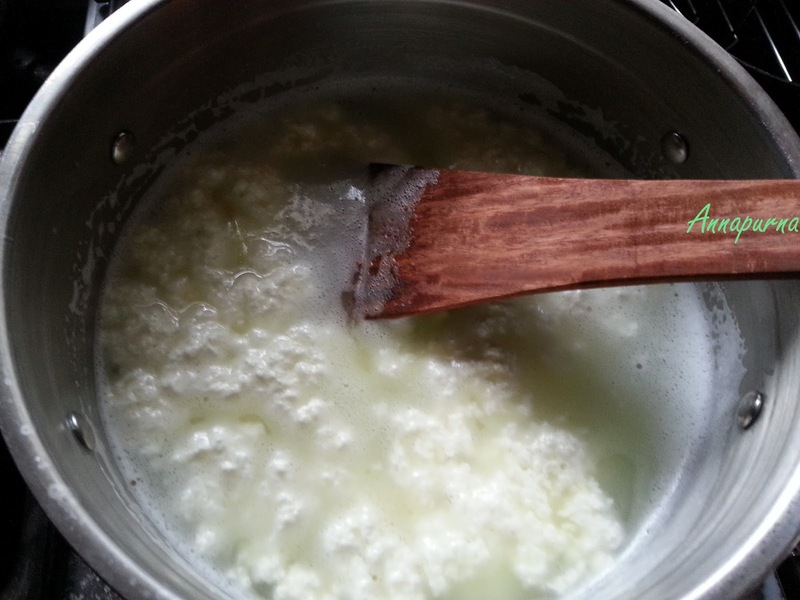 The resultant chena and sugar mixture will dry out yet will retain moisture. 8. Put off the flame and allow the mixture to cool down enough to handle. Knead it well , while it is still warm. 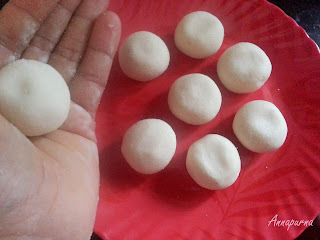 Divide the mixture into 8 medium sized portions and make round ball . 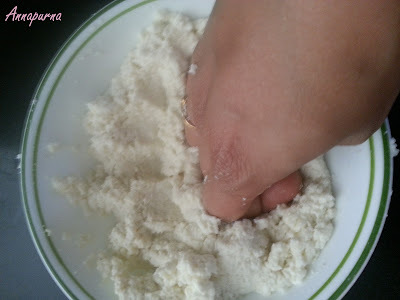 (If due to some reasons, the chena becomes crumbly and you are not able to shape it, grind the chena to smooth mixture in a grinder jar , transfer it to a plate and knead well). 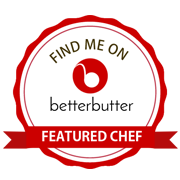 I hope you would love to give this delectable sweet recipe a try. Do not forget to give your valuable feed back. Simply love sondesh in all its possible combination. Very nicely executed. Looks perfect and supremely delicious. I love sandesh.So perfectly made.Home made is always the best Poonam. Absolutely di. There is nothing better than the home made sweets. Thank you Sasmita. You are right this sweet is easy to prepare and tastes great. Bengali Sandesh have come out great. 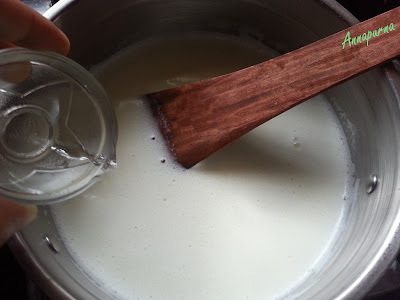 Love your home made chena recipe with step by step clicks. Perfect for this Diwali festive season. I havve your mohanthal recipe in bookmarks. Thank you Bhavna. Do share your feedback once you try out the recipe. Happy cooking !